Yorke Peninsula’s gulf waters offer great recreational fishing, scuba diving and other water sport activities to be enjoyed in the numerous sheltered bays. 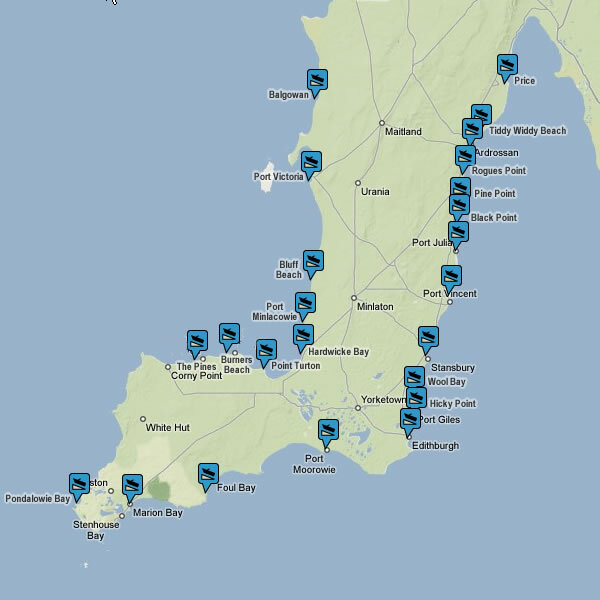 To assist you to locate a suitable boat launching facility on the Yorke Peninsula we have created a map indicating some of the better known boat ramp locations. To view the map in Google Maps, click the “View larger map” icon ( ).